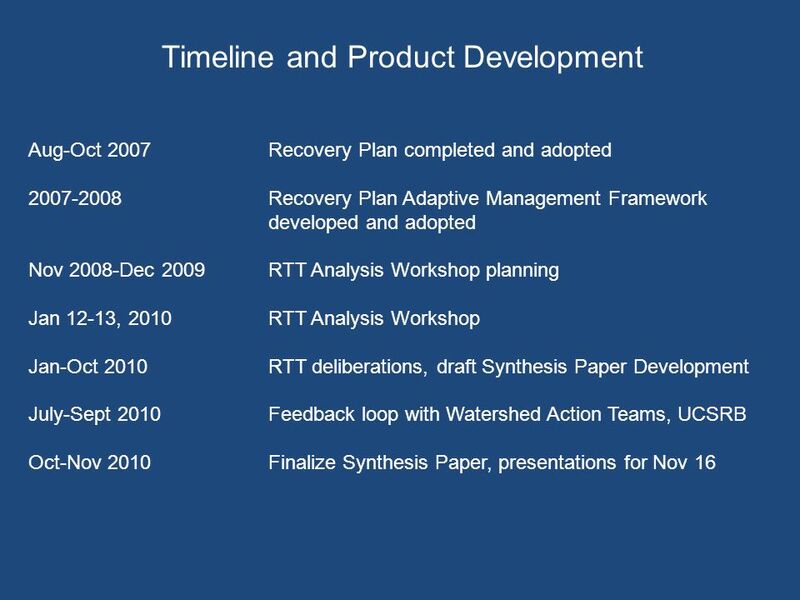 Timeline and Product Development Aug-Oct 2007Recovery Plan completed and adopted 2007-2008Recovery Plan Adaptive Management Framework developed and adopted. 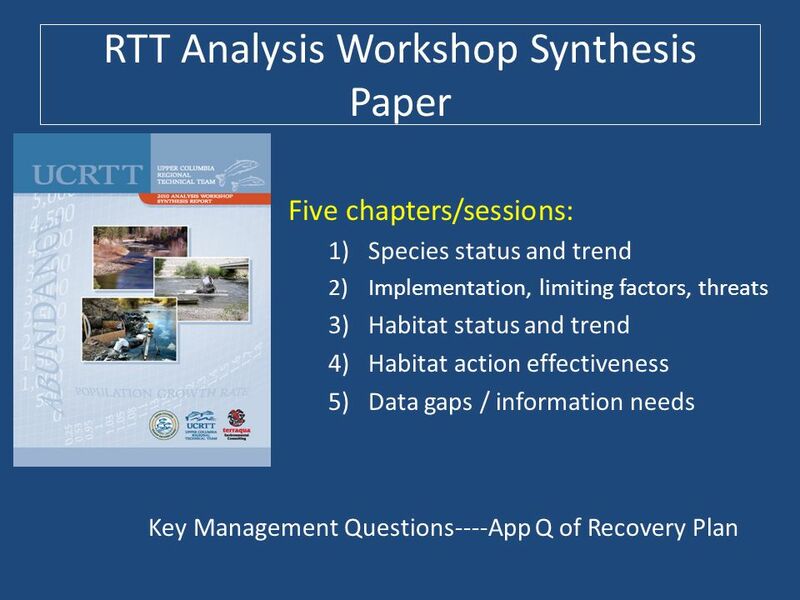 5 RTT Analysis Workshop Synthesis Paper Purpose: To summarize the science workshop and communicate the deliberations and recommendations from the RTT to the UCSRB, WATs, and other interested parties. 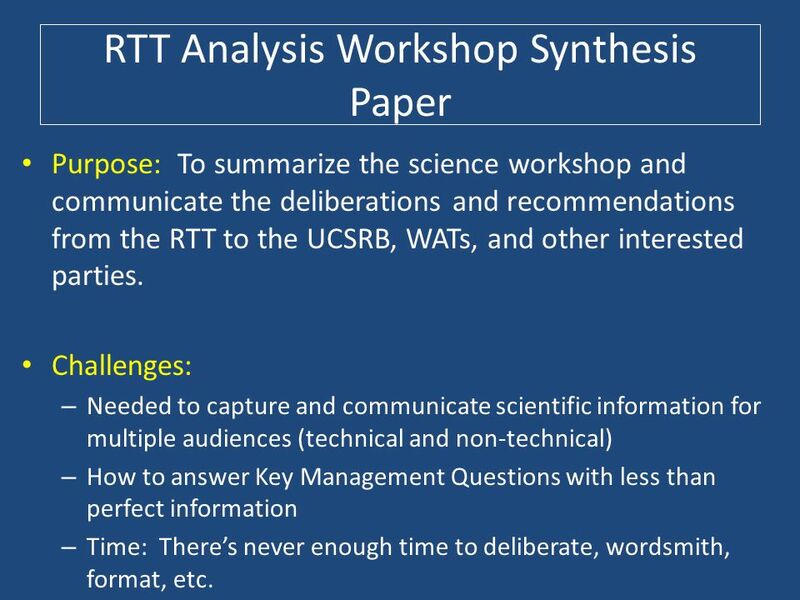 Challenges: – Needed to capture and communicate scientific information for multiple audiences (technical and non-technical) – How to answer Key Management Questions with less than perfect information – Time: Theres never enough time to deliberate, wordsmith, format, etc. 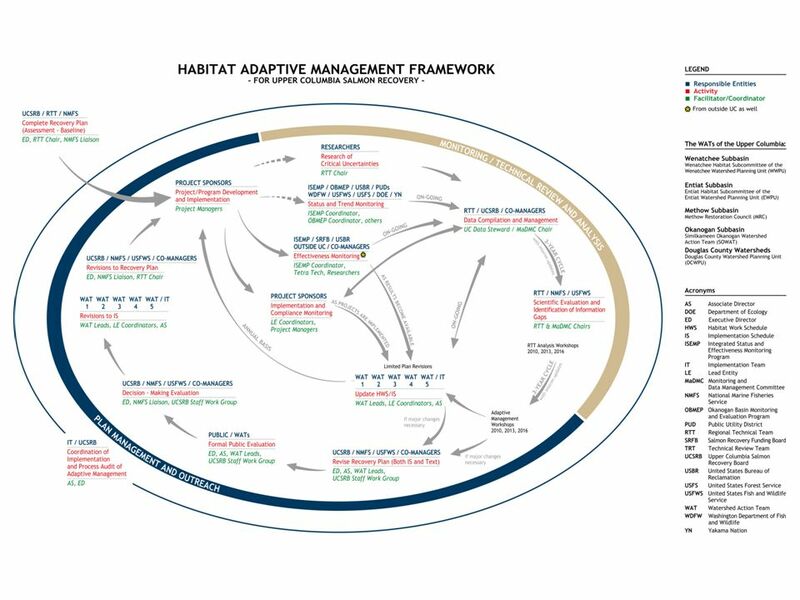 Download ppt "Timeline and Product Development Aug-Oct 2007Recovery Plan completed and adopted 2007-2008Recovery Plan Adaptive Management Framework developed and adopted." Use of Social Media by Swiss Higher Ed Initiative of the State Secretariat for Education and Research SER Annex of the Consulate General. Swiss Knowledge. 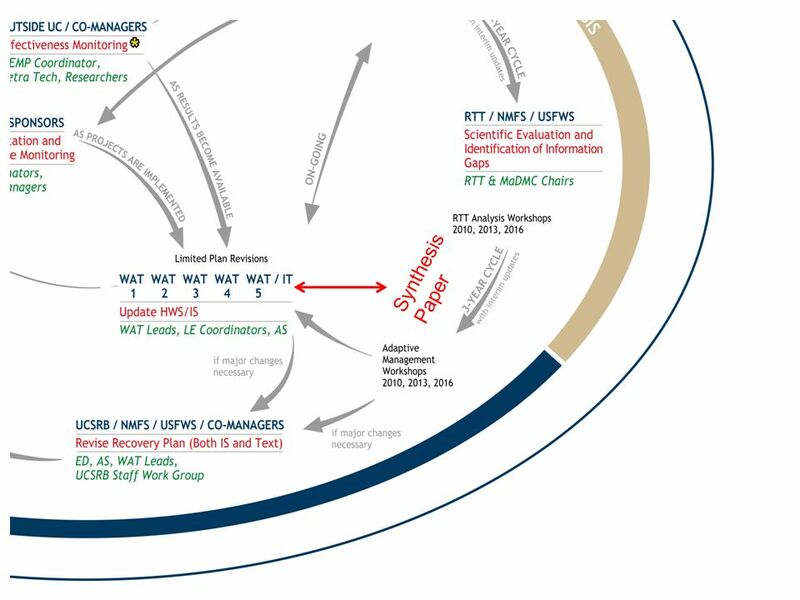 2007 CAH HF Program Group 2 Roadmap Next Steps for Phase II January – March 2007 JANFEBMARAPRMAYJUNJULAUGSEPOCTNOVDEC Engage Internal Stakeholders Plan/Educate. Planning for Transition from Opti on B to B+: Rwanda Experience MUGWANEZA Placidie, Coordinator of HIV prevention Unit/RBC/MOH ART in pregnancy, breastfeeding. Status of Publications Papers written by Brad Timerson with numerous co-authors. Mourad Loulou, Tunisia Section Chair 1 Mourad Loulou Tunisia Section Chair IEEE Tunisia Section. Doc. : IEEE /101 Submission January 2001 David BagbySlide F Meeting Report Jan 2001. NEXT STEPS Decide if you want to work with NCAT by November 1, 2007 Send Carol Twigg an with a copy to Kevin Lemoine. Response to The Framework For Change: The Next Generation of School Standards, Assessments and Accountability October 2008 Presented Oct 2008 – plans subject. 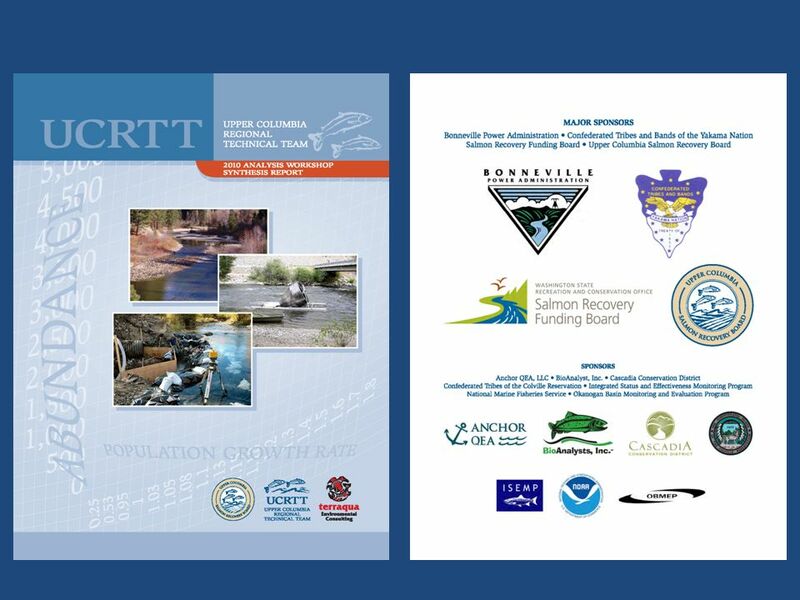 NANPA Oversight Working Group Status Report to the NANC March 20, 2001 Chair Pat Caldwell. 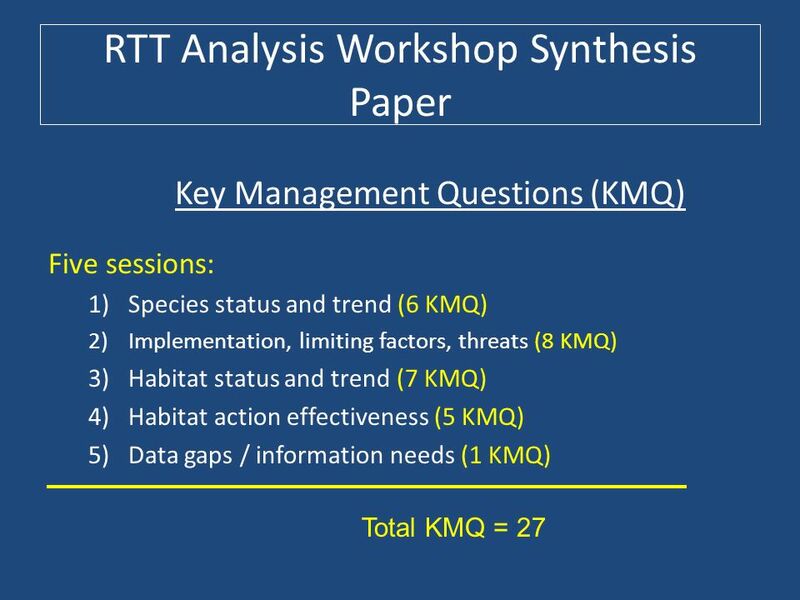 Draft data - do not cite or quote EEPS Benthos RMP Status & Trends sediment monitoring added benthos at 27 stations in 2008 for implementing SQO. Starting Planning for the 2010 Policy Key Issues Notes for the TAC Executive Committee April 8, 2009 Phil Hattis, AIAA VP for Public Policy. WECC TEPPC – March 25, 2010 Proposed Revisions to PCC Regional Planning Document 1 Proposed Revisions to Overview of Policies and Procedures for Regional. Pathway to Excellence & Equity September 25, 2007. National Accessible Reading Assessment Projects Principles and Guidelines NARAP Goal 3. 1 Sub-group on Process Efficiency 1 st meeting, 17 Nov 2008 Frankfurt am Main T2S Project Team European Central Bank. Measuring and assessing corruption and economic crime: The role and mandate of UNODC Dimosthenis Chrysikos UNODC/DTA/CEB/CSS. UNFCCC secretariat, programme Fleur Newman, Programme Officer Breakout session 4.2 Procedure on significant deficiencies CMP & EB Mandates and 2012 Process. Slide: 1 27 th CEOS Plenary |Montréal | 5 - 6 November 2013 Agenda Item: 15 Chu ISHIDA(JAXA) on behalf of Rick Lawford, GEO Water CoP leader GEO Water.